When planning a wedding, part of it is making marriage invitations and sending it to the people who you want to come to the event, and these people may be your family, relatives, or your closest friends. It only makes perfect sense that you will need to send invitations because how can you even expect people to come to your wedding if they don’t even have any knowledge about it, or if they did, they aren’t even sure if they are being expected. Inviting people through phone calls or text messages may be able to convey a message effectively, but this method is far from being formal, and wedding ceremonies have always been a formal event regardless of the theme or venue. In relation to wedding invitations, there are those businesses that offer to assist in decorating the venue, making appointments with pastry shops for the wedding cakes, and even finding the right dressmakers for the bridal gowns. Oftentimes, these businesses offer to make the wedding invitation designs. Some would include this in a package while some would ask for an additional fee. To help you save money, you might as well design your own wedding invitations as well as the stationery, and we may just have some guidelines below to help you out. Just like any other design that you will be making, it should usually start with a draft or even a sketch of how you expect your design to appear once they are done. An advantage of preparing a draft early in the process is you can already visualize what you want to achieve, as well as already determine the materials that you will be using for printing and decorating the event invitation. This step is almost always neglected since people give a false impression that this only leads to adding to the efforts exerted or to the number of tasks that you need to do. But in the long run, you will come to realize that the process will go much easier and faster if you already have a draft. The process of choosing an invitation card design is no longer as stressful as it was in the past, and it’s all thanks to the abundance of templates that can be downloaded on the Internet. 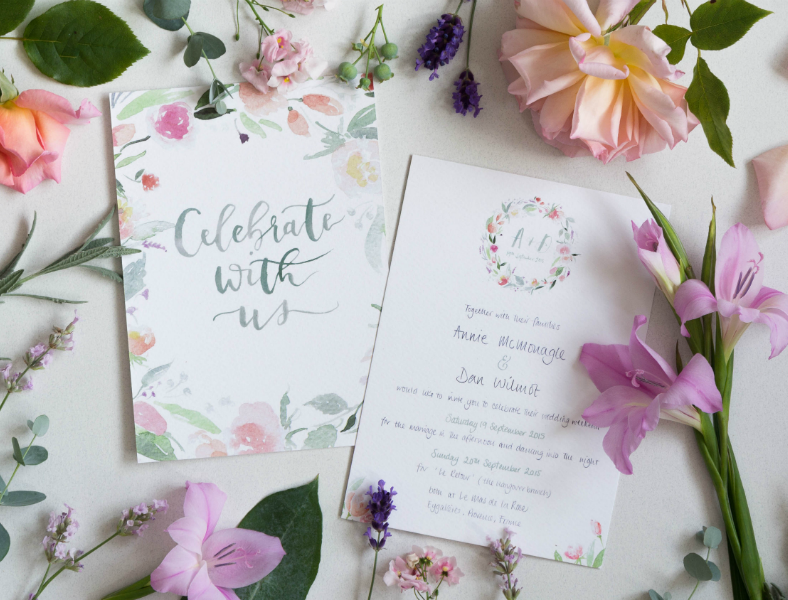 There are invitation designs for various themes and motifs available on the Internet, and only requires you to exert a little amount of effort in searching for them, because trust us, it’s all out there. And if it doesn’t already make sense, it may be best to be reminded to make sure to choose a design that closely resembles the one on your draft. Once again, the draft that you have prepared beforehand can come in useful here since you already have your expectations. If you already know what to expect from your design, you will also be able to determine an estimated amount for your expenses. Once you have determined your expected budget, make sure to stick with it to avoid overspending. In fact, it may even be better to go under the expected budget than over it. When it comes to the basics of a creative invitation design, it usually refers to the preparation of the materials that will be used for making the invitations. This may include the card stock where the contents will be printed on, the ribbons, and other decorative materials that will be used to enhance the appearance of the invitation design. In addition to the basics, it may also include the process of cutting or folding the materials beforehand to make the succeeding tasks faster and easier to do. Of course you should decorate the exterior of your vintage invitation cards, why would you even settle for less? Beautifying only the interior aspects of the invitation and leaving the exterior dull only makes it half-baked. It would be best to at least make an effort in enhancing the outer pages or the backside of the invitation as well. Just make sure to include on the budget the materials that you are going to use for decorating. You can always choose the safest route and use a plain white (but dull) envelope, since these almost always go along with any color or kind of paper used. But then again, why would you even try to settle for less? Weddings don’t come very often, so why would you try to hold back? Not only graphic artists or wedding planners, but even regular people would very much suggest that you should use an envelope that highly suits the look of its content. The colors, the decorative features, the typeface, and even the material should almost always be coordinated. Simple doesn’t always mean dull or uninteresting, there may even be designs that are way better when simple. But you may also make a wedding invitation design stand out and be different from the others by adding enhancements to its background. How? You can simply make use of gradient colors, pattern designs, textures, or stock images from the Internet. But for a more personal touch to this, you may also get even more creative by coloring them yourselves, either with the use of crayons, watercolors, or colored pencils. Earlier, we have mentioned about enhancing the look of your wedding invitation designs by decorating them, and to also include its exterior aspects. In addition to this, you should also take into account the rear side of the card, and you don’t even need to go over the top when designing this. Even the most subtle enhancement applied on the backside of the design can go a very long way. What does this actually refer to? This is the interior of an envelope that a person will see when they open it. And how can you add an inner lining? You simply need to trace out the edges of the envelope on to a paper of your choice then go down at least half an inch and cut that out. Afterward, just glue your cutout on to the inner surface of the envelope. While not really a big of a deal, but this will further make your invitation cards presentable. For inspiration, you may check out our gallery of printable envelope designs. Here is another very minor enhancement that you can add to your invitation card, and this one involves fine details around the edges of the card stock. Here, you may add a creative border to surround all the content and make the entire invitation design look organized, or you may just add a simple line border for creating a distinguishable mark along the edges. Trust me, the quality of your invitation cards will be complemented once you add these simple details. 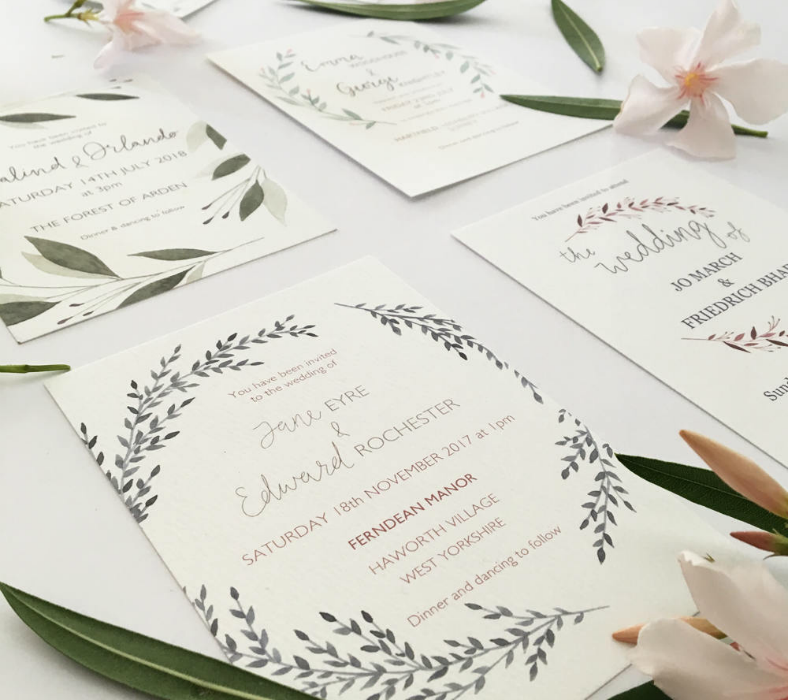 Designing your own wedding stationery will actually help you save up to half of the total expenses of having to buy or pre-order them, plus, you also get to showcase your artistic skills. Being able to get a hands-on involvement in the process of designing the stationery simply makes them more personal to you. You can add as much or as little decorative materials as you want, what’s important here is that you will enjoy your experience in designing the invitations. You can get other people involved in the design process, and this is a very good way that you can have quality time with them. Designing stationery is not a complicated process, and you don’t have to be an expert to be able to make an artistic and creative wedding stationery. What’s important here is your motivation and your creativity. When we think of DIY projects, people almost always think of it as the cheap alternative of having to actually buy or order them, and while this statement is mostly true, there are also instances when rooting for DIY may have you end up spending more instead. This usually happens when the materials being used are expensive, and this, in turn, will result in overspending. The best that you can do is to think outside the box and take into consideration the prices of the materials, the trials, and errors that may be involved, and a separate amount that may be needed for unforeseen occurrences during the designing process. The time (and amount of patience) it will take you to make the designs should also be considered. Do you still have a lot of time to make your stationery? If you have, then you can just take the design process one small step at a time, and you can even set aside some extra amount of time for proofreading and double-checking if you were able to incorporate all the details that you want on to your invitation design. However, if you lack the abundance of time, then you may probably have to exert a little more effort in the design process to be able to finish your project in the least time possible. 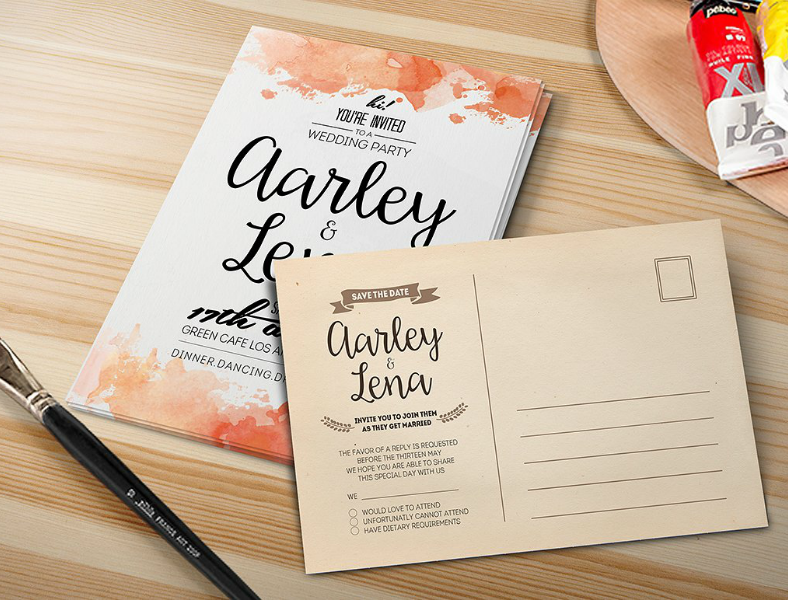 When choosing to go DIY with your wedding stationery, you can always go the less stressful route by downloading pre-made stationery design templates that are available all around the Internet, and these are already halfway done and you only need to modify them according to your preferences. Or if you have a lot of time and you think you got what it takes, then you may also go full DIY by actually making a stationery from scratch. But then again, if you choose the latter, you can always rely on our guidelines to make the process easier for you. 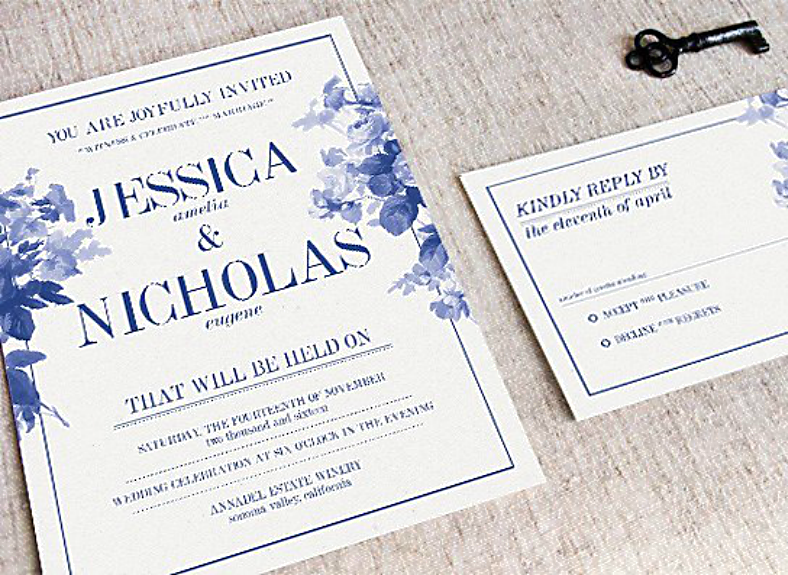 When sending out invitations—most especially wedding invitations—you should always do it at least two weeks prior to the set date. For some people, they would recommend that invitations be sent out two to six weeks beforehand, but for wedding invitations, it could be done a few weeks earlier just to allow the invitee to check on their schedule, whether or not they have an appointment. However, don’t send your invitations TOO early that the invitee might forget about it, two to six weeks will work. 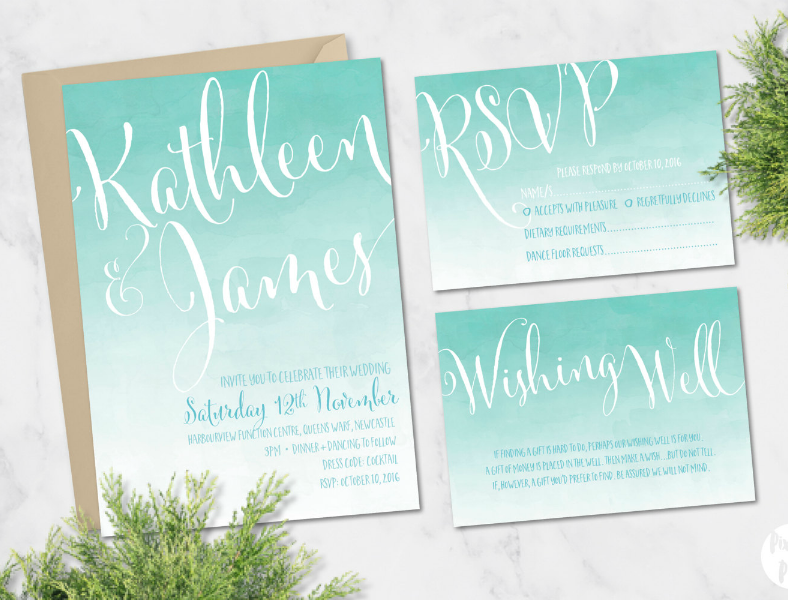 We mentioned earlier regarding not going full DIY with your designs, which involves downloading pre-designed stationery and invitation templates off the Internet. These templates were made to serve as the base of the design and are expected to be customized according to the preferences of the person who will use it. However, if people rely on this 100 %, then it would be a sin and will only spell laziness on the design. There is indeed a reason why these templates were half-baked, and it is because after being downloaded, people should customize and add a personal touch to it. For any design or template that involve text and not just on professional documents, proofreading is already an essential part and should never be forgotten. Proofreading involves going through the text on the design over and over and over again to see to it that there are no errors with regards to the spelling or grammar. While not too much of a big deal than it is on professional documents, but spelling and grammar mistakes will only cause humiliation which may be remembered by people for a long time. Here we are again with the budget, and it only goes to show how important it is to really set a budget when going DIY. Failure to do so may result in you having to overspend, which is something that should be avoided considering that this is merely part of the overall budget intended for the wedding. Once again, it is always better to go under the budget than over it.